New “Sweethearts” edition on Amazon’s best seller list! Nice birthday present for me! Both the softcover and the kindle version of “Sweethearts” is bouncing around amazon’s best seller list today, at various positions but #14 earlier today on one list! I love seeing Jeanette and Nelson being popular again! The kindle edition – and softcover – can both be ordered at this link. 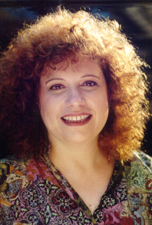 Join author Sharon Rich on Nelson Eddy’s birthday, June 29, 2014, for a special afternoon including a new “Master Class” presentation, a Q&A period and the latest information updates! Tickets and details are at the link. “Sweethearts” updated 20th anniversary coming soon! News alert! 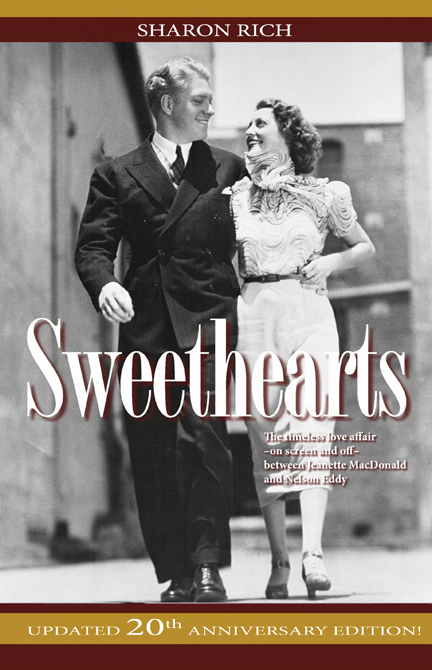 The revised and updated edition of Sweethearts will be published on May 1st – Maytime, appropriately! More information is available here. Join me in LA on Sunday, December 8! Do you have a Jeanette MacDonald or Nelson Eddy story to share? Now’s the time! For those of you who are fans, a new Jeanette MacDonald-Nelson Eddy Facebook group has been set up this week. All events and book signings that I attend will be posted there as events as well as on this website and the regular maceddy.com website.